Julien is from a family of entrepreneurs. He started his career by renting out vacation homes in Marrakesh, but wanted to make the jump to eCommerce. Julien, originally from Paris, spent four years living in Morocco. This is where he started a vacation rental business, eventually amassing 23 rental properties for tourists to book. He met thousands of travellers every year, but found himself spending long hours on the job. He even worked some 18 hour days. After a while, he decided he wanted a more flexible opportunity that would allow him to travel while growing his business. Julien’s first foray into physical products was shoes. He travelled to Portugal in search of a manufacturer, but found himself frustrated by the higher costs and limited opportunities for growth. So, he took his search for a manufacturer to China. 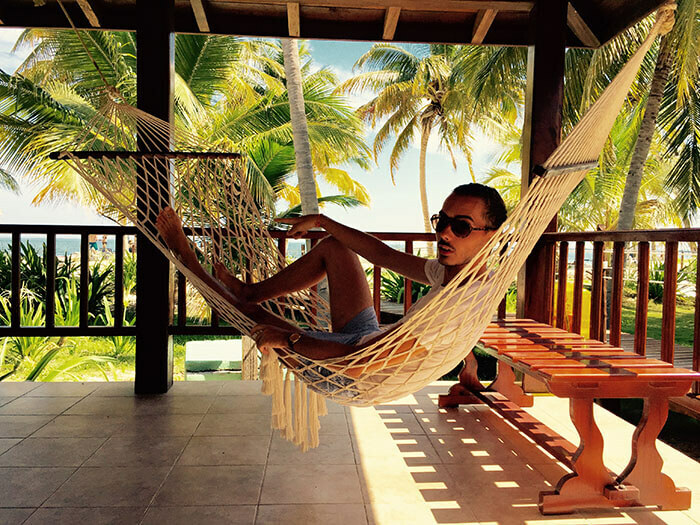 Julien unwinding during his travels. Julien was listening to a podcast when he first heard about Amazon Selling as an opportunity for entrepreneurs. This is also where he heard about Jungle Scout. He was travelling around the world, on a stopover in San Francisco, when he started his FBA journey. He started aggressively researching products, scouring Jungle Scout for the right data to make his decision. Once he started finding products, he also began travelling to China to meet suppliers and tour factories firsthand. He was even asked to dinner with the CEO of one of the factories. Julien immediately went back to his hotel room and started researching proper etiquette for dining with executives in China. One of the rules? Eat everything you’re given. Unfortunately for Julien, he was told they were headed to an oyster restaurant – one of the only foods he truly dislikes. The night went well and, in a bit of good luck, Julien found the oysters were prepared much differently than in France and ended up enjoying them! 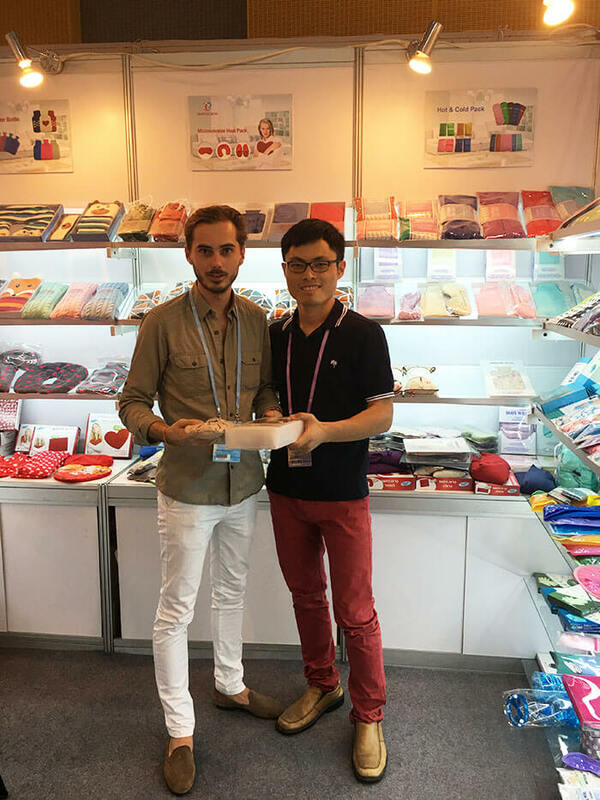 Meeting suppliers in person and working from China did have some big advantages for Julien. He could have samples delivered to his AirBnB for free and creating more personal connections with suppliers has enabled him to negotiate better terms. Of course, he said travelling to China is not mandatory for Amazon sellers. Meeting with suppliers at the Canton Fair. Julien is optimistic about the future of selling on Amazon. He sells in the European marketplace, with most of his sales concentrated in France. He also sells on a French non-Amazon site. Julien said Amazon is still the best opportunity out there. In the next two years, he hopes to be selling seven figures. Beyond that, he hopes to keep growing his business and potentially sell it to the right buyer. Julien said he only spends about 4 hours a day on his Amazon business now. But, in the beginning, there was a lot of work to find, source and launch a product. When Julien first started, he didn’t have enough stock to get him through one of the busiest times – December. When he got enough stock in place, a hijacked had jumped onto his listing. To prevent further damage, he registered his brand with the Amazon Brand Registry and reclaimed his product. 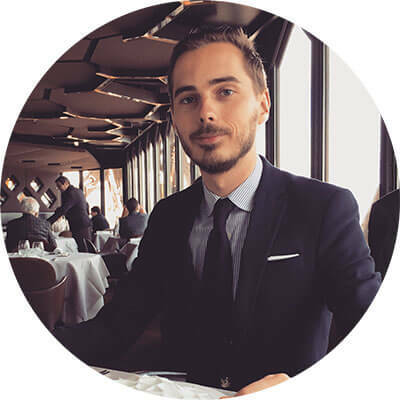 For Julien, the most challenging thing about selling on Amazon is creating a listing. He said it’s a tough balance of writing it well and including necessary keywords, without your listing looking like just a list of keywords.